Winter is already coming and temperatures have dropped in many parts of the country. That’s right … winter is around the corner. With that in mind we offer you the TOP 5 tips on how you can keep horses healthy and safe during the cold days of the season. Give them a good shelter: Many horses can do fine living outside through the winter. As long as they are metabolically healthy, receive enough calories, develop a nice winter hair coat, and have appropriate shelter, they can happily ride out a bad winter that has humans groaning. 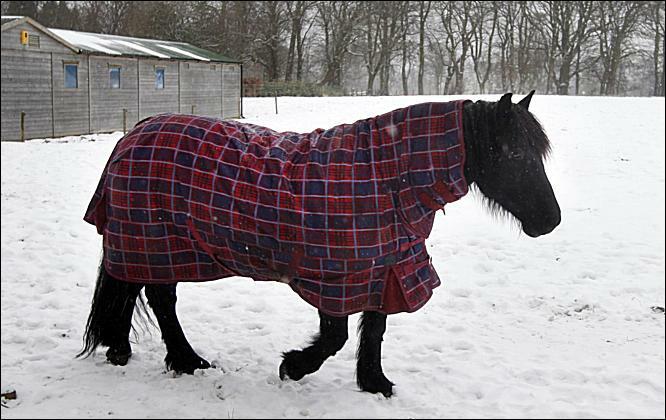 Many horses don’t need to be blanketed, although waterproof/breathable blankets can help protect against driving wind and rain. Cold weather alone won't generally make horses uncomfortable, but wind and moisture can be difficult for them to tolerate, so they must be able to escape the elements. 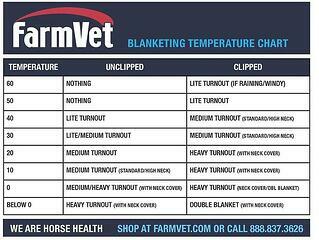 In case you don't know when to blanket and what type of blanket you should use, here is a great guide courtesy of FarmVet. Be on top of their calories: The phrase “bulking up for winter” is no joke! Horses exert significantly more calories in this season keeping warm than they do in any other time of year. High-quality hay should be the staple of any winter diet, especially for horses that are turned out on a regular basis. They should have dry, fresh hay available at all times to keep their caloric losses less than their gains. Older horses or horses with significant dental disease that cannot eat hay productively need to receive calories more frequently in a form that they can use, such as senior feeds. Here is a guide of 5 things you should never feed your horse! Don't let his water freezes: One of the major causes for colic in the winter is impaction caused by inadequate water intake. Technology has provided us with excellent solutions to that problem: heated water tubs and non-freezing automatic watering systems. If horses are outside, it is well worth the expense to run electricity to the fields for these devices to ensure a constant source of fresh water. Providing water is a relatively easy way to prevent a common winter colic that could end tragically. Be smart about clipping: Horses have a thick winter hair coat for a reason—it’s designed to protect them. Many people who ride throughout the winter find it helpful to clip their horses to remove heavy hair that slows drying time after a ride. It is fine to turn out appropriately blanketed, clipped horses in the winter weather. 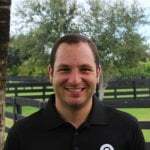 However, owners should be cautious about clipping horses that live outside through the winter because they will then need to be very diligent about blanketing as temperatures fluctuate. It isn’t fair to a horse to remove his winter woolies and then not blanket him well enough. Owners who have clipped their horses entirely, including the head and ears, need to be diligent about keeping them inside during excessively cold temperatures, as frostbite can occur. In any case, you should check the table above to see what type of blanket you shoud use! Pay attention to footing: Most horses do just fine in just about any amount of snow, but ice is another story. 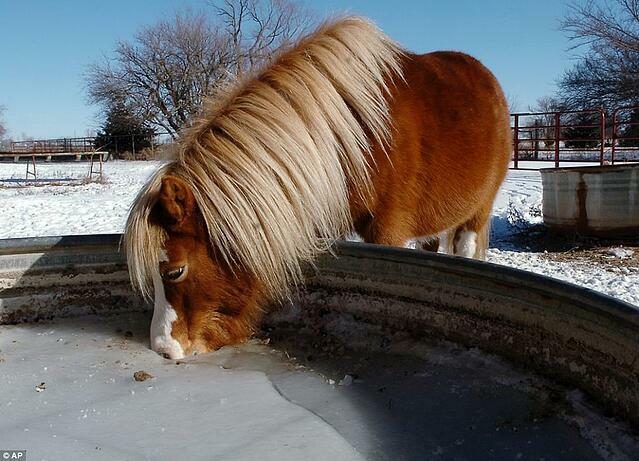 Be very cautious about ice on surfaces where the horses walk, either to get to turnout or within their turnout. Fractured bones or down horses can be an unintended consequence of dicey footing. Keep large amounts of snow/ice melt handy for when ice develops (but don’t forget to watch out for your cats and dogs that might not tolerate rock salt on their pads.). Horses that are shod and live in snowy regions could benefit from a farrier applying a special pad to prevent the balling-up of snow inside their shoes. These snowballs can create “stilettos” that are very unstable and can lead to injury. Further, when ice and snow are present, make sure that your farrier and veterinarian have good access to your horses: Plowing/salting driveways is very important to providing care, especially in an emergency situation. Top tip for a better winter care: Give them love! Top Apps every rider must have!